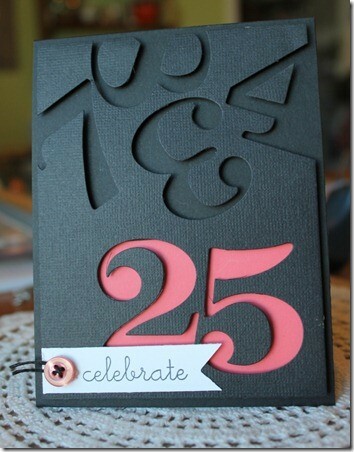 Sarah's Craft Shed: Happy 25th Birthday, Son! It was my eldest son's birthday yesterday, so I can now share the card that I made for him. 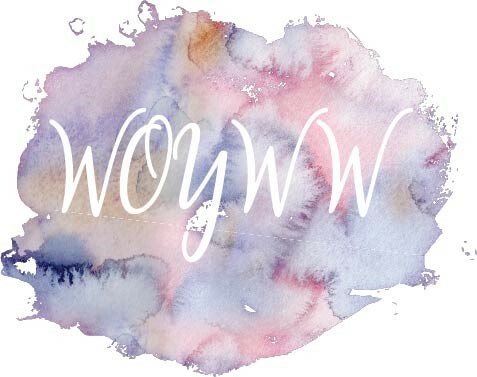 It was influenced by a card made by Katie Skiff found on Pinterest, with a twist of my own. I don't usually make cards based around die cutting as I am more of a stamper/ink lover, but I liked the concept and had some suitable dies, so went with it. I started by cutting some dark blue card to 20cm x 13.8cm. The largest numbers from the set by Tim Holtz (Sizzix 661187) were used to cut the year of birth and the age, with the other numbers added at random across the middle. I also used the Celebrate die from the Tim Holtz Block Celebrations die set (Sizzix 660211). I found a piece of copy paper that I had used to clean off my brayer and stuck areas that I particularly liked under the year and the celebrate 25 sections, leaving the remaining numbers blank. I also stuck the cut outs from the b, r and a in celebrate in place so that it became really clear. Using my Dymo Letratag and printing onto clear plastic, I typed out '1/4 of a century' and 'was a great year! ', stuck them onto off cuts of the same brayer clean up sheet, trimmed round and matted them onto white card leaving a very narrow border. These were glued into the appropriate places on the front of the card. Finally, I added the card front to a white mat (20.5cm x 14.3cm) using foam pads for dimension before gluing the whole thing to an A5 card made from the same dark blue as the topper (A4 folded in half).